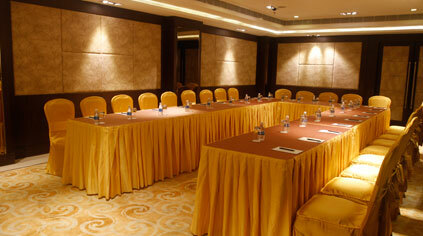 The Central Park offers Banquet to hold Business Events & Celebrations. Boutique interiors done up in contemporary style coupled with facilities and impeccable service ensure guests enjoy the event while we take care of the rest. 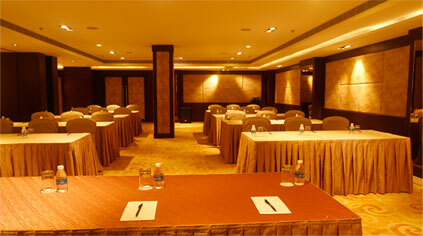 The Central Park's banquet hall, with a capacity of 200 pax makes for an ideal location to host business meets & conferences. Installed with state of the art media equipment including projector(s) and acoustic system, the banquet provides classroom, round table and theatre style seating options. With our catering team at your service, we ensure you have an enjoyable gastronomic experience over those quintessential business conversations. The Central Park offers banquet facility for over 200 pax for celebrations ranging from Birthday Parties to Receptions. Our experienced hospitality team is adept in providing for choicest of theme decoration, creative food options and excellent service to make those events in life memorable.